The light of the Church on Earth is a bit dimmer today, but the chorus in Heaven is that much more joyful. Laura and I are deeply saddened by the death of Ruth Bell Graham, a remarkable woman of faith whose life was defined by her belief in a personal, loving, and gracious God. She was an encouraging friend, accomplished poet, and devoted mother of five and grandmother of 19. Ruth’s marriage to her husband Billy was a true and loving partnership. As the wife of the world’s most beloved evangelist, she inspired people around the world with her humor, intelligence, elegance, and kindness. Laura and I offer our prayers and condolences to Billy and the Graham family. Christianity Today: The Silent Rock Behind a Famous Evangelist – Although Ruth Graham preferred to stay behind the scenes, her impact on her husband was all too evident. Christianity Today: Obit – Ruth Graham Dies at 87 – Billy Graham’s wife of nearly 64 years was a distinguished communicator of God’s power and peace in her own right. 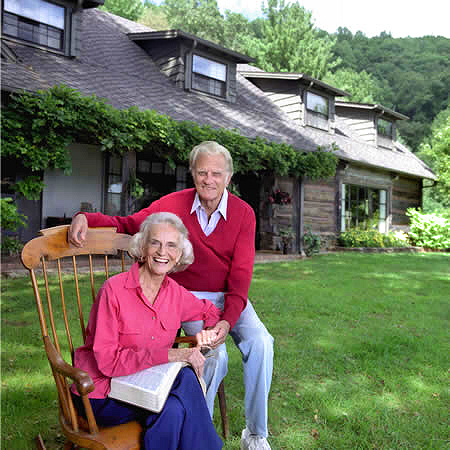 CT: What Ruth Graham Taught Me About Prayer: A powerful way to make God’s words your own. Ha ha, great mimes think alike.